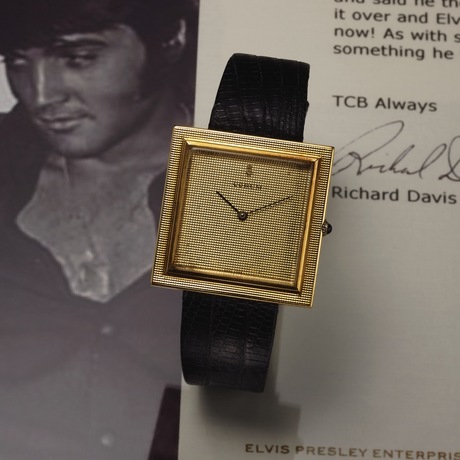 Elvis may have left the building, but his watch has hit the auction block. Wristwatch worn by Elvis and gifted to Richard Davis. Corum, "Buckingham", No. 50602, Ref. 5971. Made circa 1960. 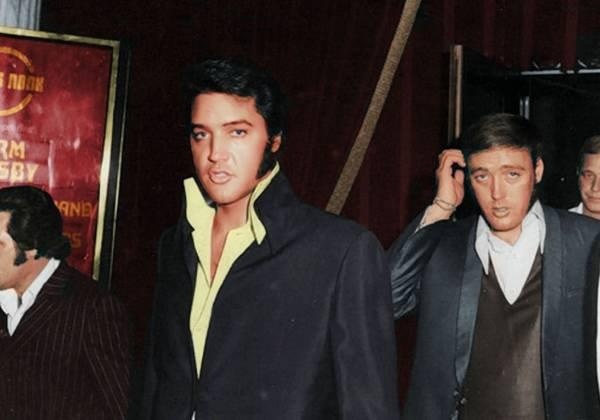 Richard Davis began working as Elvis' valet in the early 1960’s. During Presley's career, he also worked as his wardrobe assistant stand-in and personal body guard. Davis worked for Elvis until 1971 and remained close friends with the superstar until his passing in 1977. The King of Rock n Roll was known for his extreme generosity, often giving away his valuable belongings as presents, particularly to the Memphis Mafia- the group of friends and employees who surrounded Elvis - so it was not surprising that he gifted his prized Corum to his right-hand man and close friend, Richard Davis. 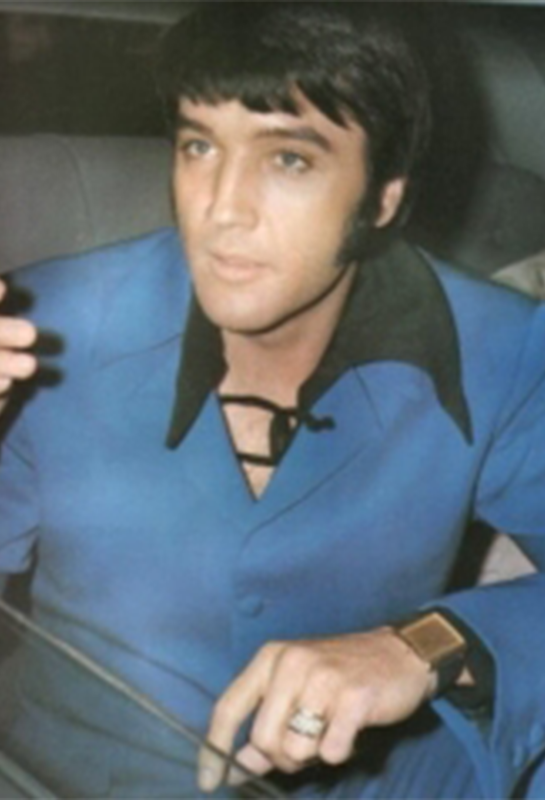 The square watch is made with 18 carat yellow gold watch and is accompanied by a box, 8 color photos of Elvis wearing the watch and authentication correspondence. Check out Antiquorum on Barnebys here.